Of course,……it’s a friday evenin, as the Mueller Report is completed and the leaks begin…..
Mueller Time is Over… It’s ok Libs. Everybody Hurts… Sometimes. The talk is that Russia and China have increased gold reserves dramatically over the last few years and dumped US treasuries over the last two years. There is no way the powers to be in the USA will allow gold to have a dramatic rise in price and risk the debt free Russian economy surging while the debt laden US economy moves down, this would be a shift in power that I feel the US will try to stop at all costs, paper gold has been and will be the method to keep gold suppressed so the US stays on top. The politics is way more important than the charts these days, central banks and the powers that are can overload the comex with sell orders any time they like to keep gold down specifically for geopolitical reasons. 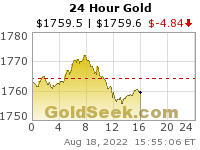 Starting to think M. Armstrong could be right in thinking the Dow could go to 40,000 while gold goes down, this would keep the Ruskies in struggle street, exactly where the US needs them to be. Scary stuff. 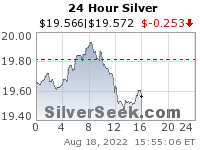 Lookong at the above link for palladium on a 5 day chart, can someone explain the massive plunge undertaken at the beginning of the week? I did not hear any news of this prior to pulling up this chart. Maybe its a glitch associated with goldseek? Look at what that Jew b@stard Ari Feischer is saying now…trying to re-write a lie as truth…that f’ing POS. The next time you and Chris go to that restaurant in Vancouver bring big doggy bags for leftovers! Get ready to be unemployed.